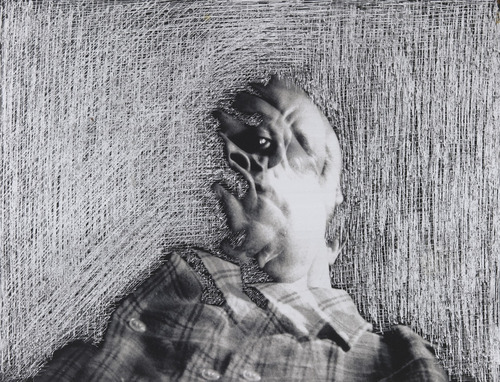 Already a well-known artist of multiple-media, Greek-born Lucas Samaras began working in experimental photography in 1973. He first immigrated to the US (New Jersey) in 1948 and graduated in 1958 from Rutgers University. 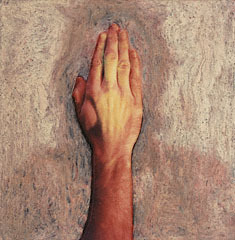 His work is usually in reference to autobiography or a self-portrait. Info and images of Samaras' art can be seen at the J. Paul Getty Museum website, the MoMA website, and the Pace/Macgill website. 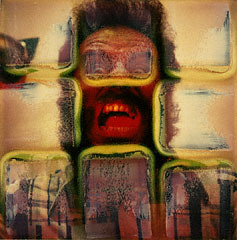 He has exhibited across the United States, Europe and Asia and has taught at Yale University and Brooklyn College. Samaras currently lives and works out of New York City. I like his photography work the best. They're very creative and experimental. 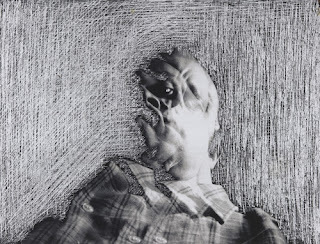 His self-portrait photography usually has a disconnect, either of "cut off" body parts or obscuring his form. These ways of looking at the image (or himself) make it easier to just identify and understand the importance of each part of ourselves. I think its interesting that he is using Polaroids before they are fully developed on the surface and manipulating it then. A very cool way of working with usual photography media. scratched, 2 15/16 x 3 3/4"